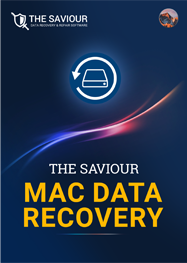 The Saviour Mac Data Recovery recovers all Lost, Deleted & Formatted Data from any Mac device that you have. Accidentally deleted your files? The Saviour Mac Data Recovery software recovers lost or deleted Files with an ease. The Saviour Mac Data Recovery recovers files from emptied trash that you thought was lost forever. The Software can easily recover lost or deleted data from internal/external Mac hard drives in no time. The Saviour Mac Data Recovery software can easily recover inaccessible data from Time Machine backup drive. The Saviour Mac Data Recovery software can recover the data from lost, deleted or formatted Mac volumes.